If purple is your color, then you’re going to love this post. 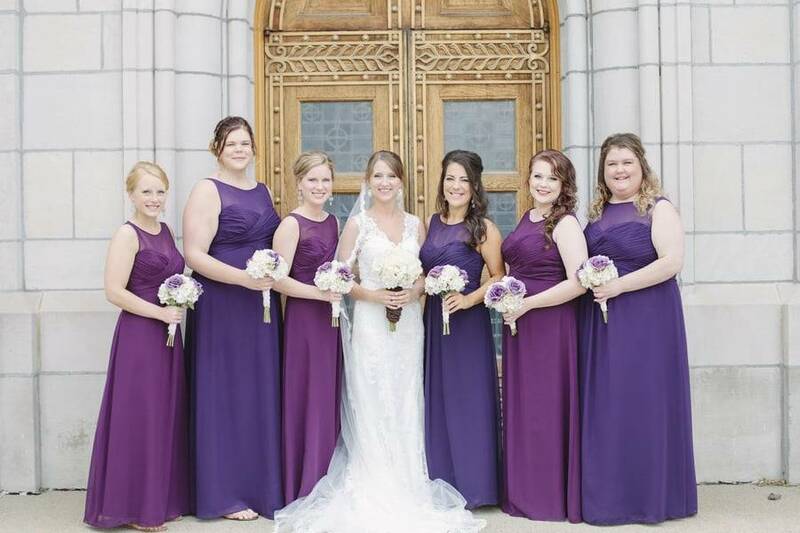 Check out what these brides have done with the beautiful and regal color purple for their big days. 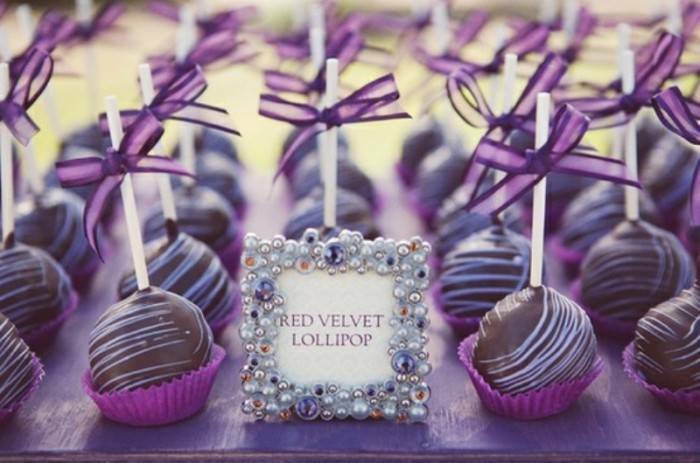 Check out these red velvet cake pops that the bride incorporated into her purple theme by adding beautiful purple candy wrappers and bows. 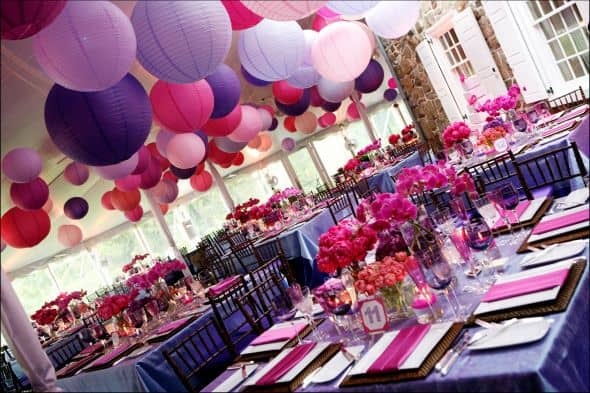 This pink and purple wedding is gorgeous, featuring purple table linens and purple and pink paper lanterns in all shades. We love the groupings of flowers in various colors. 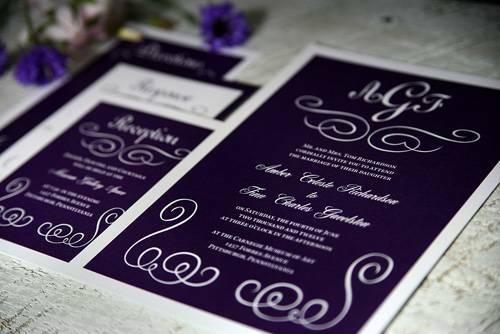 Of course, no purple-themed wedding would be complete without gorgeous purple invitations like these from Modern Girl Invitations. Check out those beautiful white embellishments. These gorgeous purple wedding cakes feature lots of dainty embellishment and are grouped perfectly. We love the touch of glitter on the cake board and the antique-looking cake holder. A classic choice, purple is a color that you can never go wrong with for your bridesmaid dresses. The ladies in the photo above look stunning in their clean sleek deep purple dresses while the men’s outfits guarantee for a formal affair. 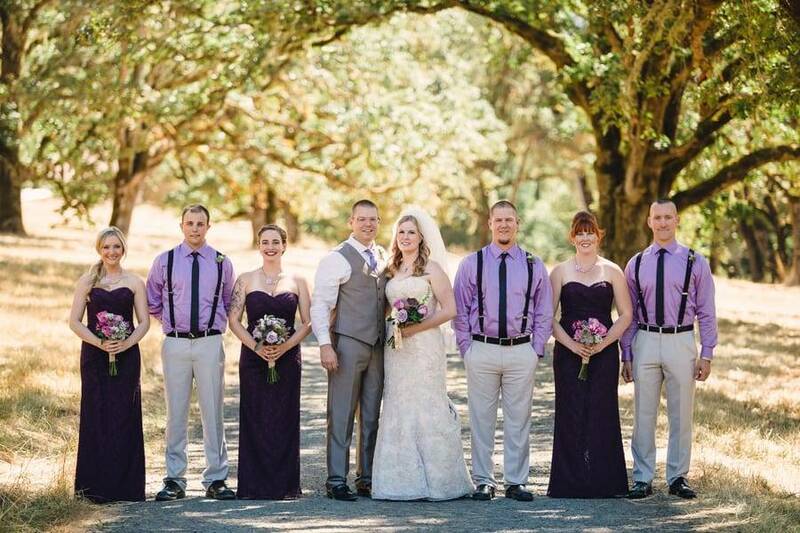 What’s best about purple wedding outfits is that the color complements any hair or skin tone. 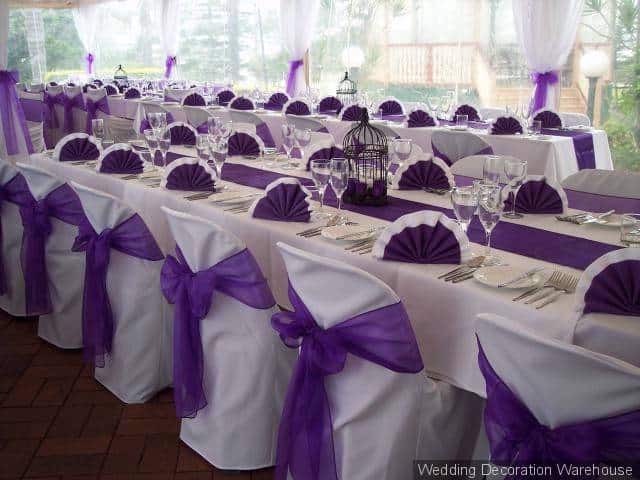 This is a beautiful example of how a purple wedding theme can be pulled off for the reception. The sashes and table runners come together to create an elegant and gorgeous look. 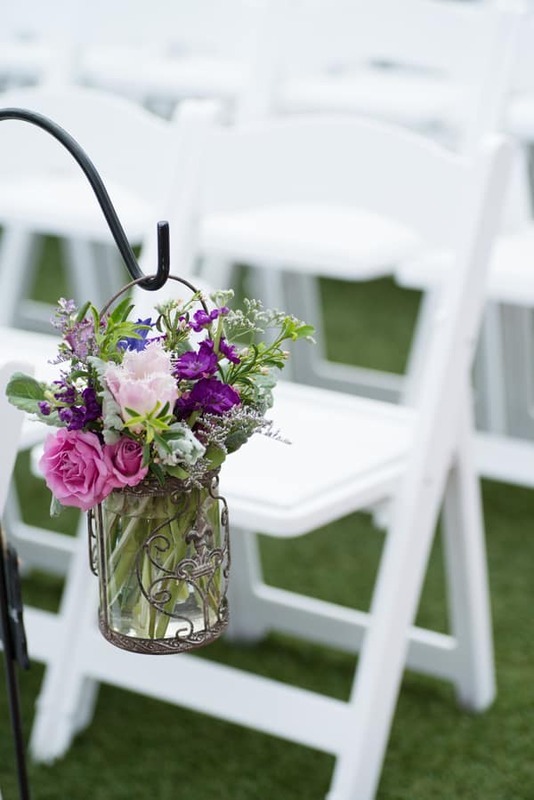 A lovely arrangement of verbena, roses and pink cloves in a classic glass lantern is another idea for your purple-themed wedding decoration. 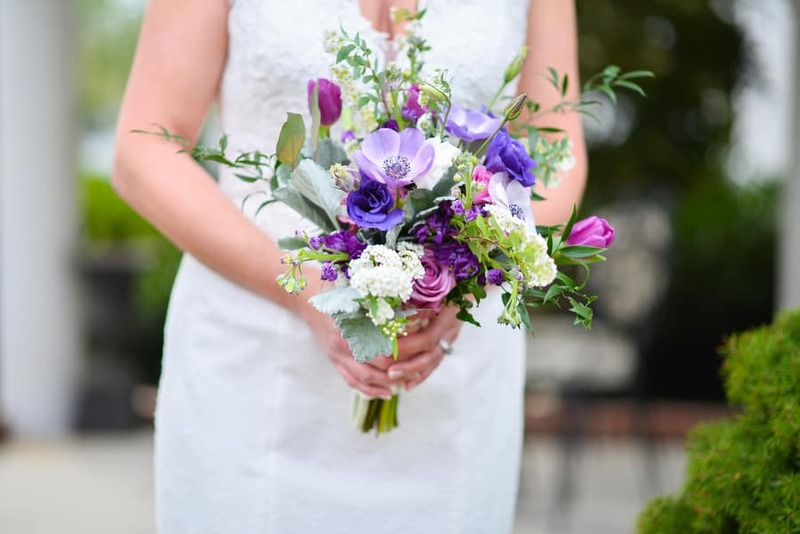 A combination of purple anemone and pink roses in a fresh cut bouquet will never go wrong with your gorgeous white dress. 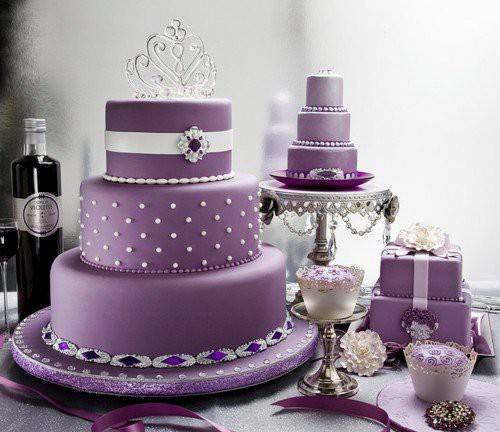 This is a go-to for your do-it-yourself purple-themed wedding idea! 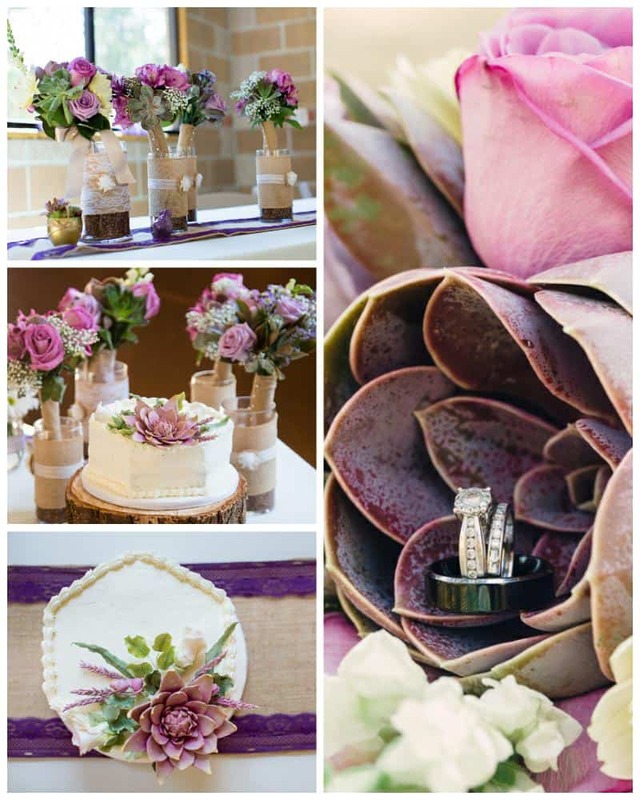 These are just a few fantastic ideas of how to bring a purple wedding theme to life. 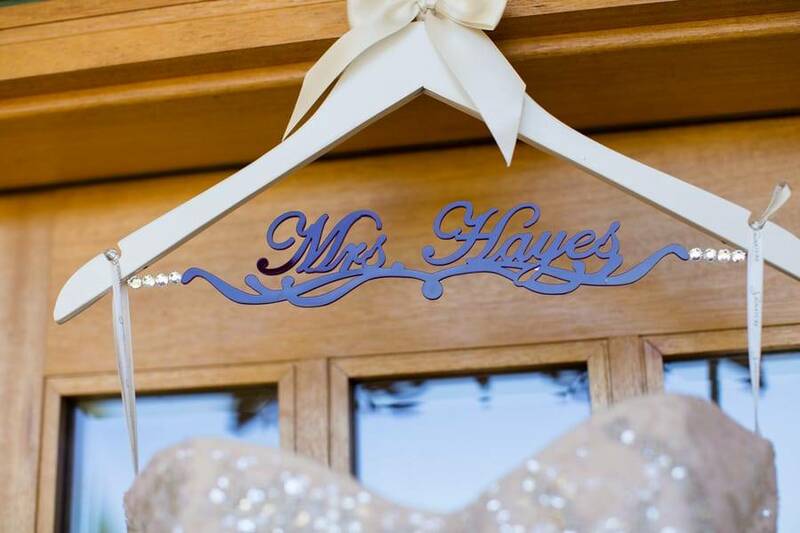 Whether you’re going to hire a wedding planner or do it yourself, hopefully these images will serve as inspiration for your wonderfully purple wedding!